Mickaël is the publication director of TyreComp. His role is to validate the contents written by the team as well as to suggest topics to feed the blog all year round. Like Mickaël, Jean-Yves is a former student of l’Ecole des Mines. He created the first versions of TyreComp. Jean-Yves takes care of our sites’ maintenance. 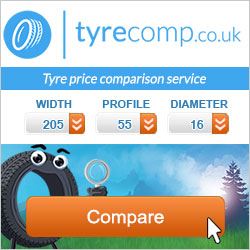 Ronan is in charge of developping our tyre price comparison services abroad, particularly in European Union. Captivated by online marketing, Ronan works in a web environment since 2005, when he first started to blog about his travels. Clémence is our specialist for German markets. Lauranne is performing a six-month internship at JYMEO as communication manager. She helps Mickaël, Jean-Yves et Ronan with their daily work: press release, commercial offers, etc. Bénédicte is doing an intership at JYMEO. As a graduate in journalism and communication, she assists Mickaël, Jean-Yves et Ronan with their daily communication actions.